While attention is focused on a blockbuster exhibition purporting to display the tomb of Herod the Great, two archaeologists claim there's no way the egomaniac king was interred there. In May 2007, at a dramatic press conference, archaeologist Ehud Netzer revealed that King Herod’s tomb had been discovered on the slopes of Herodium. Now two archaeologists argue that what was found there can't be Herod's last resting place. The mountain site lying southeast of Jerusalem includes an ancient fortress, palaces and a town. Netzer had uncovered remnants of a grand structure with a cone-shaped roof and the shattered remains of three elaborate sarcophagi ‏(stone coffins‏). One of these, meticulously chiseled out of red stone, was thought to have once contained the body of the great king of Judea. The story of the tomb’s discovery − which was one of the greatest events in Israeli archaeology for decades − took a tragic turn with the death of Netzer. The leading expert on Herod, who had devoted much of his career to finding the tomb on Herodium, fell to his death in an accident in 2010 not far from that site. 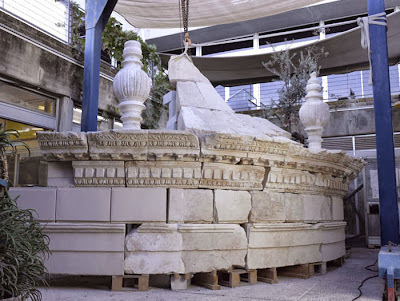 In the past eight months, the tomb has been the crowning glory of what has been called the country’s largest archaeology exhibition ever, at the Israel Museum, focusing on the figure of Herod and his burial. In the course of preparing the exhibition, the top part of the mausoleum and the sarcophagi were reconstructed. Meanwhile, plans were drawn up to reconstruct the tomb itself at Herodium, which is in the West Bank, using lightweight materials, so as to restore it to its full height of 25 meters. That plan, however, has since been shelved due to pressure from archaeologists and preservationists who opposed it. Now, two archaeologists, Prof. Joseph Patrich and Benjamin Arubas, both from the Hebrew University of Jerusalem, are raising serious questions about the identification of the structure as the burial site of the king. They contend that there is no possibility that the mausoleum Netzer and his students uncovered could actually be the royal tomb in which Herod was interred after his death, in 4 B.C.E. The structure is not in keeping with Herod’s other construction projects or his personality, they say. The pair presented their main reservations yesterday at the seventh annual “Innovations in Archaeology in Jerusalem and the Surrounding Area” conference, organized by the Israel Antiquities Authority, the Hebrew University and Tel Aviv University. First off, Patrich and Arubas cited the relatively modest dimensions of the mausoleum. Reconstructed inside the Israel Museum’s exhibition hall, it looks big and impressive, but in relation to Herodium as a whole and to the other structures built there − and certainly in relation to what we know of the way Herod saw himself − it's rather modest, they say. The mausoleum is also modest compared to other graves of royal figures in antiquity that were have been unearthed in the area, with whom Herod was surely familiar. 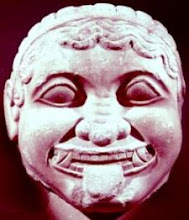 Patrich and Arubas mention, for example, the burial structures in which leading Hasmonean figures were interred in the second century B.C.E., in Modi’in. These soared to greater heights than the tomb at Herodium, even though Herod considered himself to be the greatest ruler of all − at least in the eastern part of the Roman Empire. 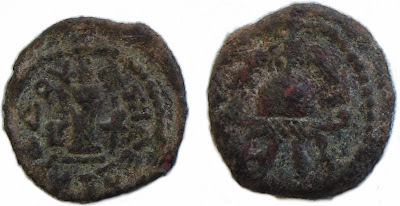 Herod was also presumably acquainted with the graves of the greatest rulers of the ancient world, Caesar Augustus in Rome and Alexander the Great in Alexandria. Both are gigantic monuments beside which Herod’s Tomb, as discovered on Herodium, pales in comparison. Another reservation the archaeologists raise concerns the location on the slopes of Herodium, which lacks suitable access for a royal burial site, and is overshadowed by other, larger structures on the hill. Historian Flavius Josephus describes Herod’s royal funeral procession as featuring thousands of soldiers, civilians and slaves walking behind the coffin. The plaza across from the mausoleum can't house a crowd of that size. “Barely 20 people can stand there,” Patrich observes. He also points out that the excavations reveal that after construction on the tomb was finished, a water cistern that had been used for irrigating the garden around the burial site was destroyed to make way for erection of a staircase that was to lead up to the palace on the hilltop. Is it likely, the two colleagues ask, that this great builder, who built the Temple Mount and the port at Caesarea, would get sloppy when it came to the tomb he designated for himself? In contrast to other arguments in the realm of Israeli archaeology, the one that’s heating up around Herod’s tomb is not getting personal. Patrich emphasizes that Netzer was his teacher, and that he arrived at the conclusion that Netzer had made a mistake based on what he had learned from him. “Ehud taught us the fundamentals of Herodian architecture.... The things we are saying, we say out of respect for Ehud, because at stake are all the teachings he bequeathed to us,” Patrich says. So whose tomb was it? Patrich and Arubas suggest that the tomb Netzer found served as a burial site for other members of Herod’s family. Maybe. So where is the royal tomb? To this, the two still have no answer. They suggest that it may have been in the palace atop Herodium and was destroyed along with it. They also point out an anomaly in the lower palace excavated on the site which, in contrast to most such structures of that period, does not have a bathhouse. Perhaps, they say, this palace was used as Herod’s mausoleum. Behind it is a site that looks as if a huge cavernous man-made structure collapsed there. Maybe the much-sought-after tomb can be found inside it, in the heart of this mound? The rebuttal to Patrich and Arubas’ claims was delivered at yesterday’s conference, as well as in an interview with Haaretz, by Roi Porat, the archaeologist who replaced Netzer as head of the Herodium dig. Porat explains that Herod is a more complex figure than first impression may suggest. 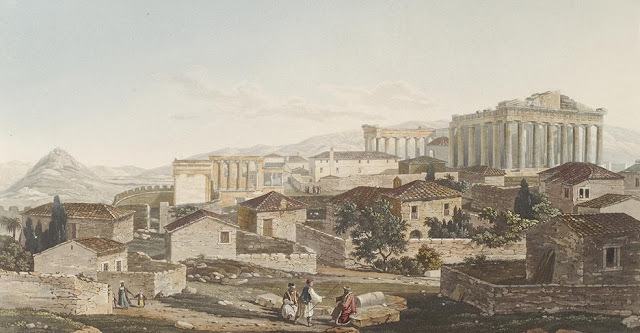 Alongside the Roman extravagance and luxury he indulged in and represented, there were also simple local elements reflected in each of the monuments he built. “Look, for example, at Herod’s coins. They are the simplest coins possible; his face is not on the coin even though he ruled for 40 years,” Porat says. 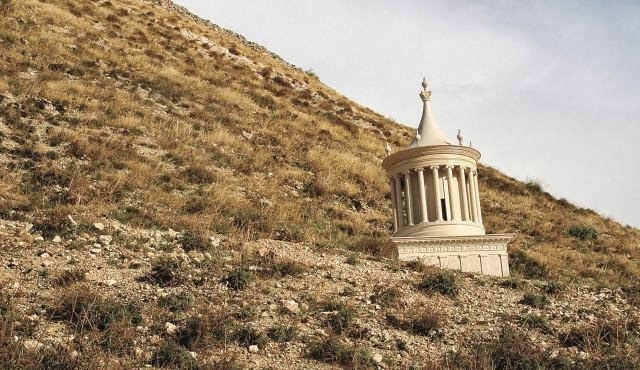 An article Porat co-wrote with colleagues Yaakov Kalman and Rachel Chachy nevertheless makes a point of describing the grandeur of Herod’s tomb, in terms of the type of stone used, the architecture and ornamentation. Furthermore, Porat explains that Herodium is a man-made hill that was created out of 400,000 cubic meters of soil on top of which was situated a palace. “This whole big mass has one place that was not covered in earth, and that is the site of the tomb,” Porat says. 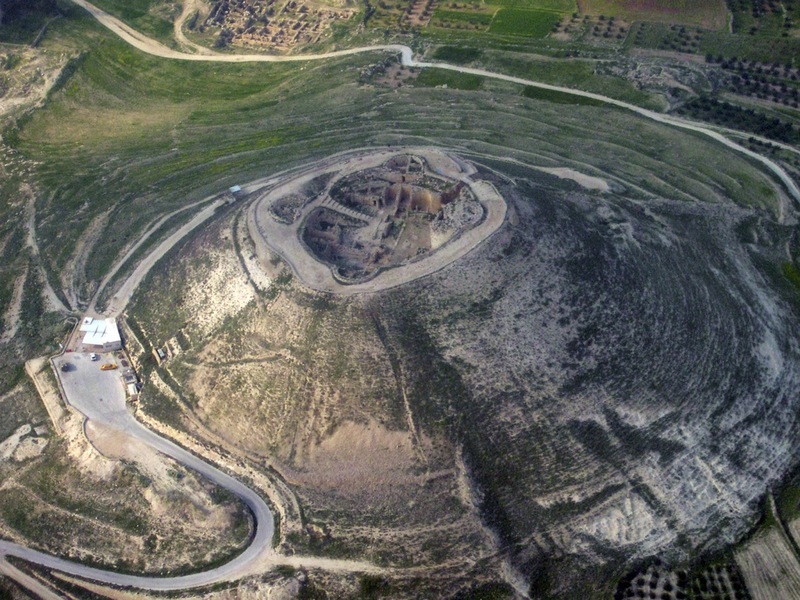 He claims that Herod conceived of the entire tel as an enormous and unique burial mound, symbolizing the idea that life at its top would go on even after the king was buried. Herod thus situated the tomb, according to Porat, at the highest point on the hill, that was outside the inhabited part of the Herodium compound − perhaps in accordance with the strictures of Jewish religious law. At the foot of the mount on which the grave site is located, Porat, Kalman and Chachy point out the existence of a large plaza, which offers a view of the burial place and could have contained the entourage Josephus describes. “We would not be flabbergasted to find another grave” belonging to the king, Porat says, “and will have to eat our hats. But we believe we have a decent picture of what is going on there and it is convincing. We have sufficient data. He [Patrich] deals with what is not, and we with what is,” he adds. On Wednesday, as Patrich was finishing up preparing his lecture for the conference, he received the program for the Israel Exploration Society’s archaeological conference next month, where one session will deal with the arguments over Herod’s tomb. The words “Herod’s tomb” appear in quotation marks in the program. “I’m glad that we succeeded in introducing the quotation marks,” Patrich says. And barring dramatic discoveries on Herodium, it looks like the quotation marks are here to stay.